5 Façades and their Surprising Transformations! 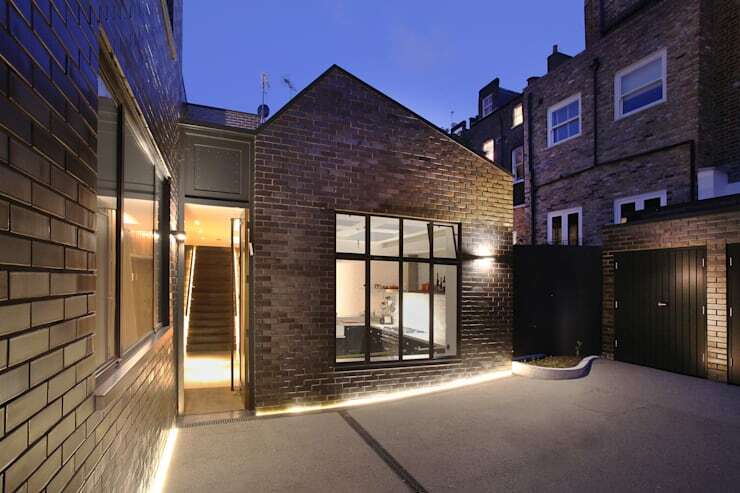 In this special home improvement edition of homify we zone in on that part of the home that shows its design to the street. Very often old houses need a facelift to modernise the façade for new owners or just to keep up with current trends. The façade of the home is that aspect that is eye-catching to passers-by or visitors, it shows off the pride that the homeowner has in their living space from the outside. This style however doesn't mean that a home needs to be ostentatious to be elegant… it's a personal preference and can be sleek and modern or rustic and trendy. Today we have a look at five very different façades, each stunning in their own right. But wait until you see the transformation from its old look to the new revamped version! This old home is simple, tired and neglected. The green wall and lack of maintenance has taken its toll on the façade. The old white fence is boring and unimaginative and signifies an old home style. But if you look at the size of the plot, you can see that this home has a great deal of potential to become amazing. So despite its more than rustic appearance, it's amazing what some excellent designers and architects can achieve with some imagination… you will not believe it's the same house! Wow, this home is totally unrecognisable! The dingy green home of the past has been replaced with a modern home coated in glass and an elegant use of materials. The garden of the old house has been converted into a parking lot, while some of the greenery has been maintained, but on a smaller more manageable scale. 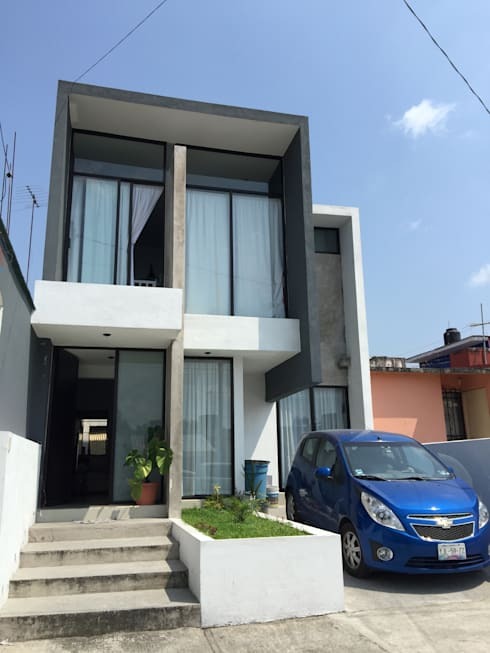 The main façade is now a mix of vertical and horizontal planes that adds a creative, yet modern finish to the exterior that makes natural ventilation and sunlight part of the decor and charm! This old abandoned garage lacks character, a homely feel and charm. But there's nothing that a good makeover can't solve to transform this space into something less workshop looking and more liveable. The building is in a good condition structurally, but doesn't look like your typical home. In fact, it seems hostile and unpleasant. However, with some fantastic features and a great renovating team, the impossible is achievable! 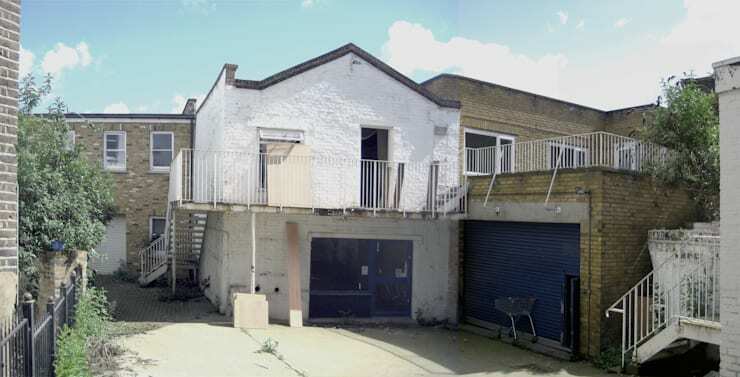 The same dingy garage has now been fully renovated. It looks more like a stylish industrial loft apartment that is cosy and inviting! The construction team got rid of part of the second floor, making this house the perfect use of space. The new front detail is coated in exposed dark brick and features a large window with back metal panels, for ultimate sophistication. The core design of the old building was maintained, but with a modern twist for an updated look! This old farm style home may have once had its glory days, but now it leaves much to be desired. 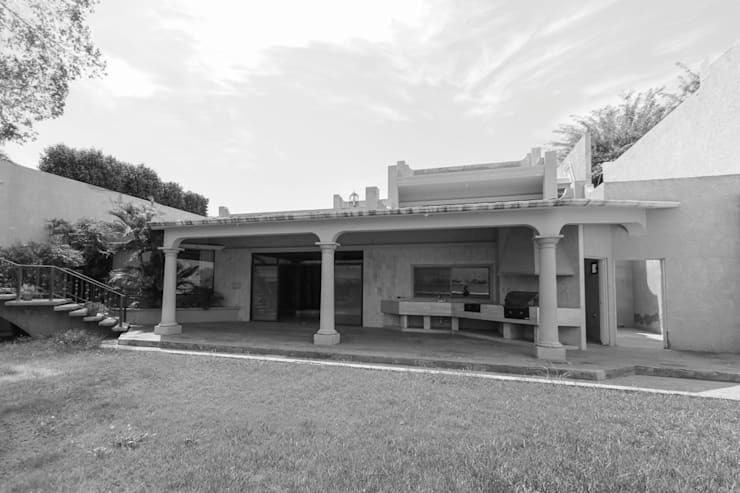 Although it is in a great condition structurally, the style is dated, neglected and unattractive to the modern eye. While the low ceiling of this home and ornate columns signify a bygone era, natural sunlight is prohibited from being a part of this decor. The overall backyard has so much untouched potential that the owners decided to tap into in order to create this amazing transformation! You will not believe your eyes! Can you believe that this is the same old country house that you saw previously? 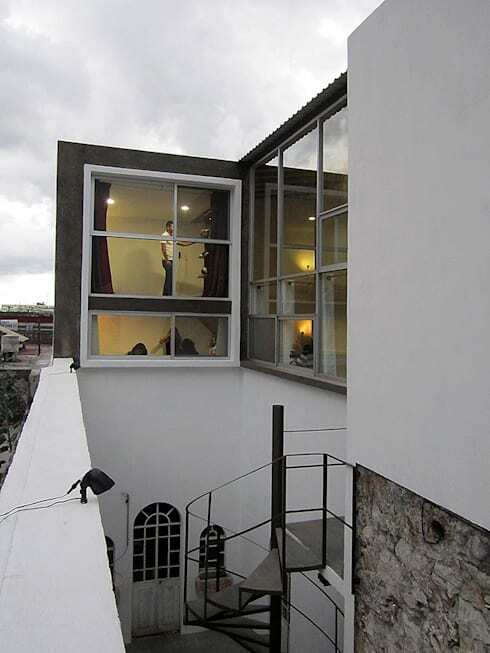 The façade went through a complete change, with only the original boundaries of the house maintained. The backyard era was inhibited by the large green lawn, which has since been replaced by this fantastic swimming pool! The area is surrounded by an elegant stone floor and new wing of the home that is now the games room! A contemporary home revamp for a modern family by the team at Juan Luis Fernández Arquitecto! 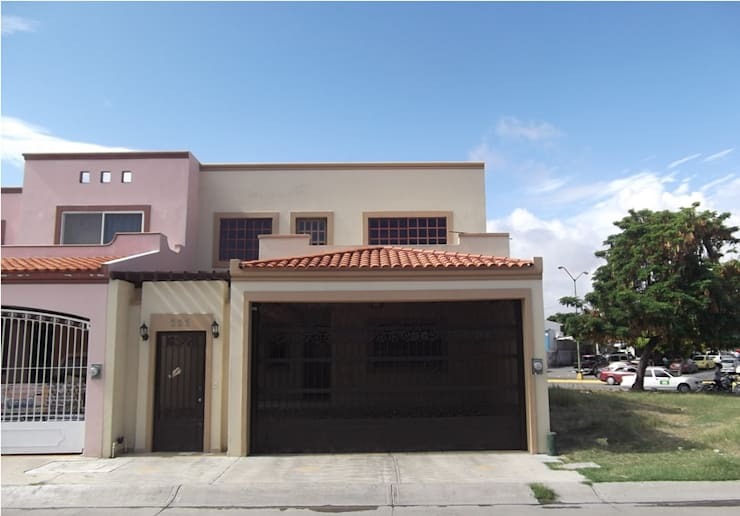 This home is located in Puebla, Mexico and although the facade seems to be in a poor condition, the charming windows and French doors tells us that this home was once elegant and stylish. 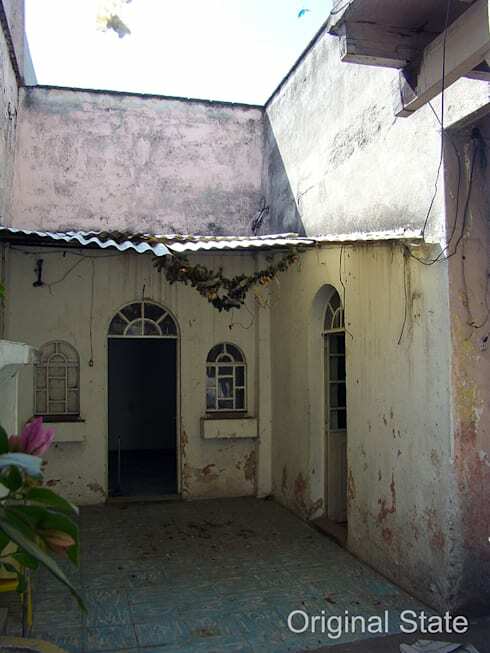 This space is located within a courtyard and is hidden from the sight of the street, the makeshift roof and old walls are in desperate need of a renovation! Wait till you see the results! This space was initially just the courtyard of the home, but the walls now add extra height to the space. The original French influence was preserved in the doors and windows with all-white walls to create the illusion of more space. The old mangled roof was replaced with a second floor that celebrates gorgeous glazing and allows for natural sunlight to enter the home instead of the dark and gloomy hidden facade seen previously. This old home is now a modern minimalist loft! 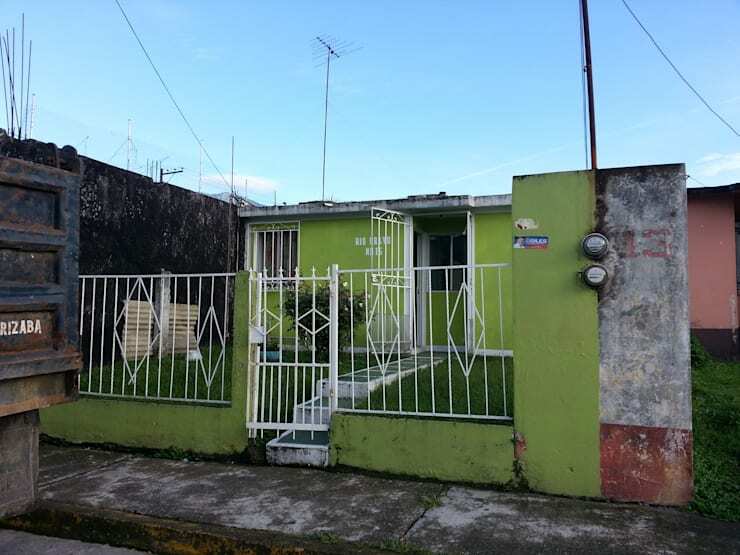 This semi-detached house located in a residential area is in a good structural condition, while the home is somewhat modern, it is conservative and lacks character. The façade is boring with no bold colours or style adding an extra attractive quality. The team at Cenit Aquitectos attempted to add a vibrant and modern touch to this old façade, and with some out of the box thinking, they achieved their goal perfectly! Maintaining the original lines of the house, the façade now looks modern and fun! 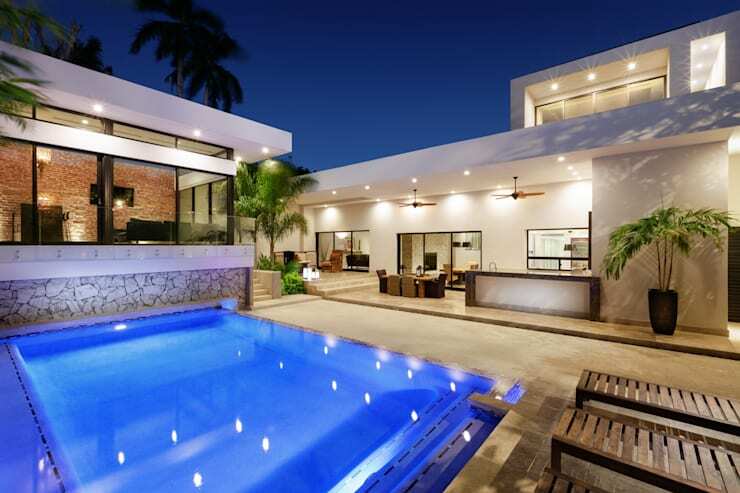 The architects added more volume to the house by adding touches of natural stone and to the main wall adding a neutral yet textured modern finish. 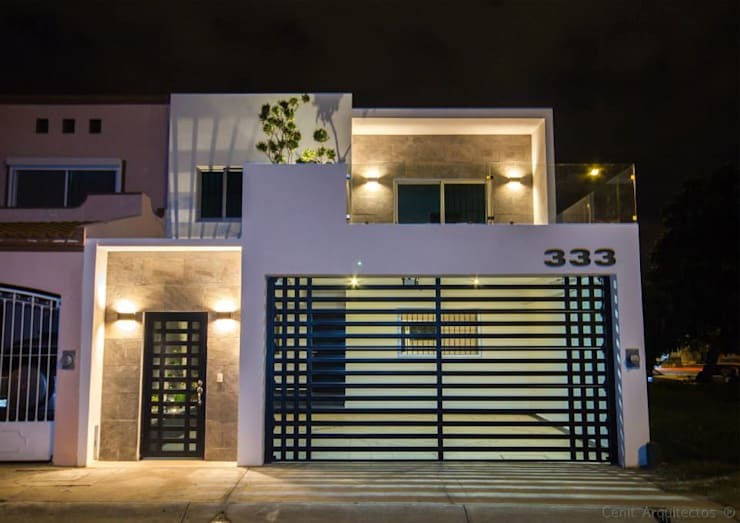 The home is brighter with better illumination in key areas, a modern garage door and gate adds simple lines and dimensions to the exterior, making this home aesthetically pleasing and functional. The all-white walls and black gates although monochrome in colour, makes this home a classic! If you are in the middle of planning a remodelling, but aren't too sure where to start, then Home renovations: what deserves to stay is a must-read for you! Have you revamped your façade? What do you think of these transformations? Share your story with us!